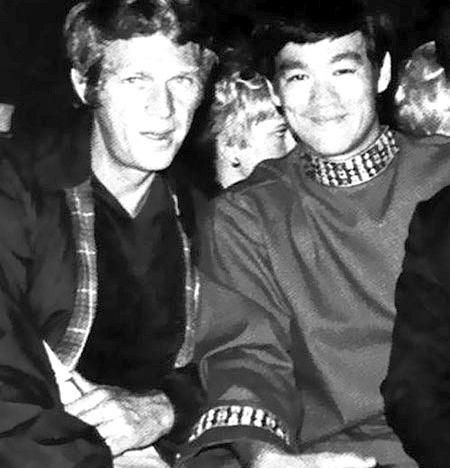 Steve McQueen and Bruce Lee. . Wallpaper and background images in the Steve McQueen club. This Steve McQueen photo might contain スーツ and ビジネス スーツ.